We saw how 2017 just passed away and by now we would have already gotten used to the new data driven approach, 2017 martech releases, Ad optimization hacks, etc. played a huge part this year. Now it’s time for 2018’s most comprehensive list of digital marketing trends. Now is the right time to be prepared for 2018. The year of AI, data and technology taking over the way we have done marketing for the past couple of years. We saw more business coming from e-commerce, real estate and SaaS companies – mostly product based. Advertising had never been this expensive in the past. CPC for some specific industries have even increased by 30%, which means people are getting into digital marketing and demand is not going anywhere. Credibility for digital marketing is increasing, especially in APAC and South American countries. Targeting got better than ever, especially in B2B advertising. Reaching out to business has become easier than it used to be. Conversions in industries like e-commerce, SaaS, fashion, real estate and human resources have gotten better than 2016, which means that we are going to see more. Big data applications have played an important role in predictive analytics and moving forward, it’ll will be used by all medium and large-scale companies. Mobile friendly website / app development industry has grown as expected and has made the list of ‘top 3 must have things for companies doing online business’. CRO (conversion rate optimization) has grown as a huge industry expertise, like how we saw SEO booming in the past. People have started using online PR which is a combination of your content, social media and influencer marketing. It’s going to be huge market to compete in near future. Nevertheless, 2017 has been a good year for marketers. Thinking of 2018 and what’s in it for us? 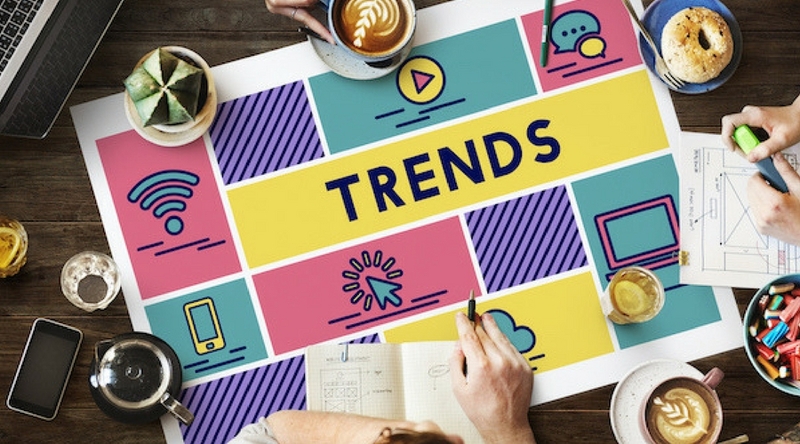 Here are the top 10 digital marketing trends for 2018 that will turn the tables for marketers and the way we used to do things. 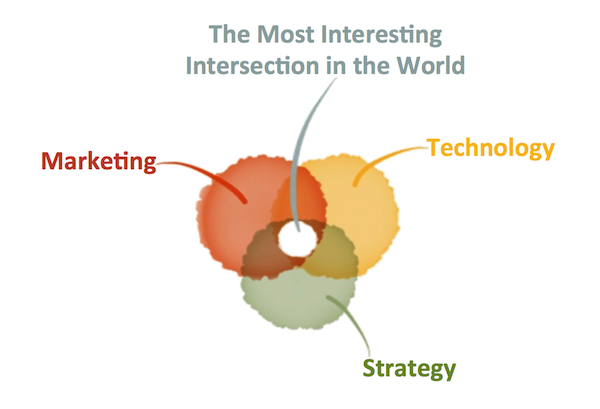 We know how impactful digital marketing has been in reaching right audience at the right time. What we still lack in doing is giving an option for users to take the rightful action. By rightful, we mean the actions that users want to take, not what you want them to take. If you can master your call-to-actions, start using engaging mediums for conversions, place your info capture forms at the right places – you’ll be doing well. Again, personalizing the content is as important as placing these. 2. 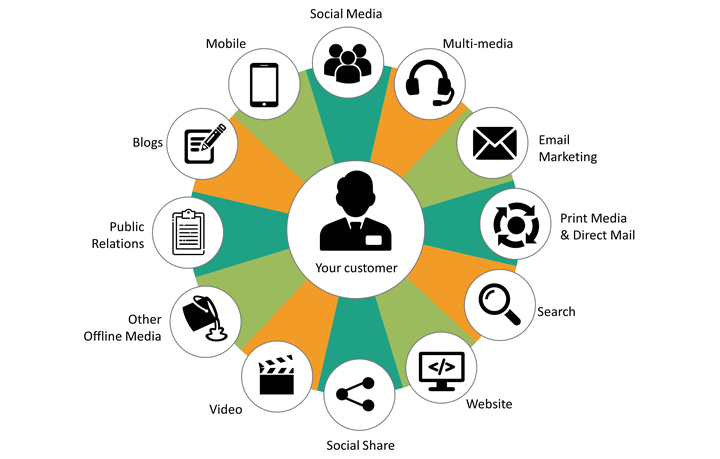 Deliver personalized and customer centric content. Start using smart content. We have seen how HubSpot and MOZ make us bow to their content. Now that everyone understands how important content is and all of our marketing strategies begin with planning out proper content, it’s now time to get as personal as possible. 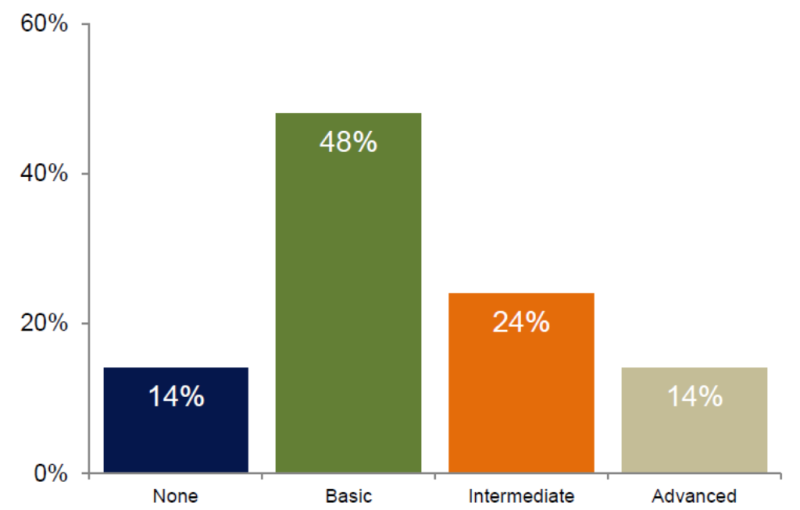 HubSpot says that using personal content should not be limited to only selected channels. 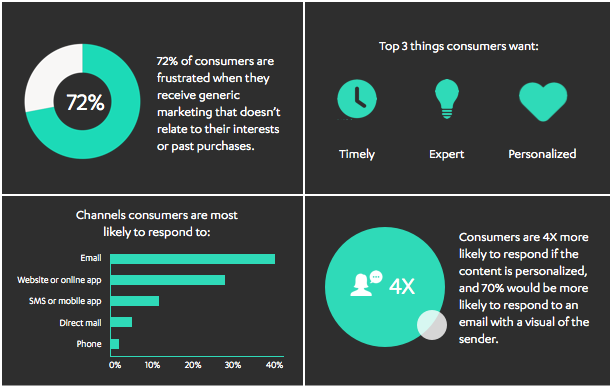 HubSpot defines smart content as “the content that is personalized to your customer’s needs”. It’s all about using the smart content everywhere. The concept of “one-fits-all” needs to be left behind in 2017. 3. 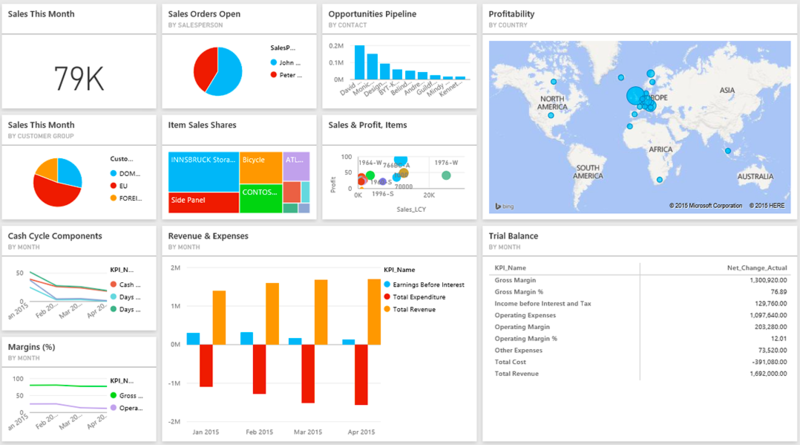 Visualize your data for all possible insights. Data has been the name of the game here! Digital marketing was always a game for players who understand data. 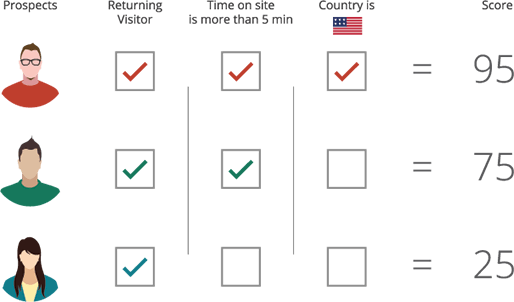 Curating quality data has been easy as all the platforms we work with offer analytics. We have an understanding of how the data looks like, but a lot of marketers are not putting much effort in visualizing them collectively. Visualizing your data can help you in shaping your marketing strategies, predicting your campaign effectiveness, budget forecasting, etc. The best way to be prepared for the race is to have insights from your data. If you want to race in 2018, data needs to be on your side favoring you. 4. Use chatbots & marketing automation softwares. People won’t mind hearing from them now. With the advancements in technology and AI, chatbots have been one of the most gifted tool for marketers. Now you don’t have to sit in front of your system, softwares will do it for you and better than you without any breaks or pauses. Similarly, marketing automation softwares have proved to be very effective for keeping prospects engaged and nurtured. If we learn how to do this, we would be doing good in engaging our users. 2017 has been one of the most promising year for marketing automation, it’s going to get bigger in 2018, be prepared to beat the best. 5. Think of building voice-optimized content. Think of people who use their voice to search. Voice search has been there from a couple of years, but the rising demand of these voice assistants and development of the same on smartphones has led to drastic increase in voice searches. If you want to do well on Google, it’s time to think of building voice-optimized content and search terms. Now it’s clear that we have finally started using voice search and it won’t take a long time for us to adapt to ‘voice searching’ over ‘typing’. If you are frequently generating content for your business, 2018 is the right time to get started with optimizing them for voice searches. 6. Social media targeting will get better than ever. 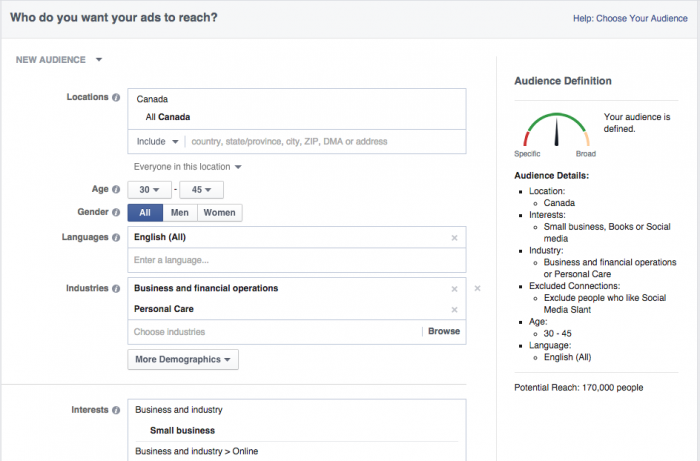 Facebook will now work for B2B targeting. Social media sites like Facebook & Instagram are believed to be platforms to reach out to B2C prospects. Not anymore! With recent updates and advancements for Facebook targeting in recent days, we have understood the science of targeting the right audience for B2B marketing. If done properly, you can reach businesses on Facebook too! It’s just a matter of time that these channels will be a great platform for reaching out to professionals. In 2018, LinkedIn will still be the strongest platform, but improvements could be seen in B2B marketing on Facebook & Instagram as well. We still need to consider Facebook & Instagram for B2B marketing to be in the game for near future. 7. Learn to make good videos. It’s time to understand that a video is not just a medium for content marketing, but also a medium for advertising. We have seen studies that say video has 400% more engagement than text or images. We have used videos for content marketing and now it’s time to up our game. Videos will work great for your Ads. It’s clear that if you are trying to connect with basic users of your product / service where there is educating process involved, video ads can be a great channel to engage them, nurture them and convert them as customers. Don’t miss this on your marketing strategy for 2018, your competitors will already have it on theirs. 8. Start integrating your marketing channels for better results when you are doing cold marketing/outreach. A lot of us are a huge fan of email marketing and cold calling. We also understand that once we have pushed a lead into cold state, it’s difficult to reach them again and get attention. Now, using other channels you can knock their doors again. Integrating your marketing will enable this for you. If you haven’t realized yet, tools like Mailchimp is offering remarketing options through Facebook and Google AdWords which clearly means that there is more coming in 2018. It’s time to think of integrating all your marketing efforts to get most of your campaigns. 9. Lead scoring will help you prospect and predict your leads in the pipeline. We have started using multiple automation softwares where there are options to prospect and prioritize leads by building our own scoring system. It basically helps you in understanding how interested and engaged user is towards the product / service. While most of the automation softwares offer lead scoring, a lot of marketers are yet to explore this. In 2018, lead scoring and predictions will play a huge role in our marketing strategy. Will it be yours too? We all know the story of mobiles taking over desktop in terms of number of users and personalization, but what we don’t realize is how much time people spend & how many of them actually convert on mobile devices. Here is how it looks if you haven’t checked before. 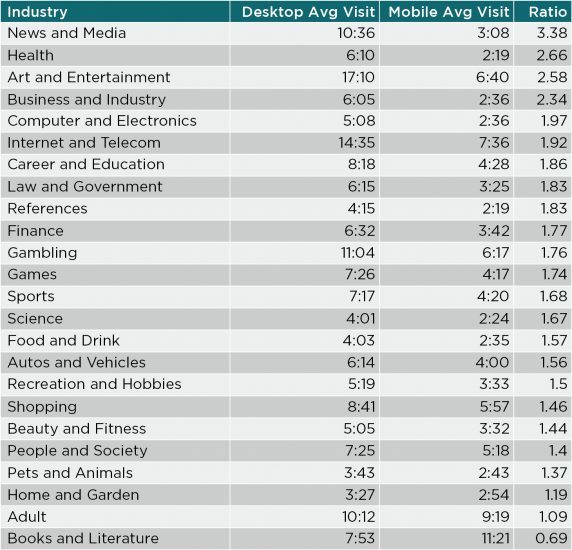 Marketers have gotten carried away with all things mobile, when most of the conversions are still happening on desktop. The bounce rates have also been high on mobile devices and conversions from the campaigns have been low on mobile devices. Don’t get carried away with only mobile targeted strategies, desktops are still there for good. How to be prepared for 2018? Now that we know the digital marketing trends for 2018, what’s cooking for marketers and the demand for digital marketing, we should be expecting a lot of competition. Planning takes less time than execution! Get started now for a successful year ahead.